It’s like doing a study on dogs (for whom chocolate is poisonous) and announcing that chocolate is poisonous to humans. They did not look at humans. They did not look at brain function. They did not show that vaginal birth improves anything at all. Publish or perish has apparently been succeeded by a new doctrine: publicize by any means necessary. I can’t imagine what else what motivated the grossly irresponsible behavior of researchers from Yale in putting out a press release that led to headlines like Natural Birth — But Not C-Section — Triggers Brain-Boosting Proteins. The scientists involved, including Tamas Horvath, Professor of Biomedical Research and chair of the Department of Comparative Medicine at Yale School of Medicine, should have been a great deal more circumspect about their findings, preliminary and meager as they are. The actual paper is Ucp2 Induced by Natural Birth Regulates Neuronal Differentiation of the Hippocampus and Related Adult Behavior. Mitochondrial uncoupling protein 2 (UCP2) is induced by cellular stress and is involved in regulation of fuel utilization, mitochondrial bioenergetics, cell proliferation, neuroprotection and synaptogenesis in the adult brain. 1. Of course Ucp2 is a critical determinant of fatty acid utilization by adult neurons. It it a critical determinant of fatty acid utilization in ALL cells. There is nothing about it that is specific to neuronal cells or brain. It is present in plants and, last I heard, they have neither neurons, nor brains. 2. Ucp2 promotes free radical scavenging. Free radical scavenging is important in creating neuronal connections (synaptogenesis). The does NOT mean that Upc2 promotes neuronal connections and it is irresponsible of the authors to suggest that it does. 3. Ucp2 is “implicated” in neuronal protection in febrile seizures in breastfeeding rats. So what? The authors have not demonstrated, indeed cannot demonstrate, that Upc2 “boosts” the brain of any animal, let alone human beings, but that doesn’t stop them. In the present study, we sought to determine whether Ucp2 induction occurs in the hippocampus perinatally, and if so, whether Ucp2-associated cellular mechanisms are involved in the development of neuronal circuits in vitro with implications for adult behavior. What did the authors actually do? They looked at whether the synthesis of Ucp2 was increased in the hippocampal cells of fetal and new born mice. The hippocampus is a structure within the brain. We observed a significantly higher level of UCP2 protein expression at the day of delivery in animals that were born via VB compared to those with CS (Fig. 2). In naturally born mice, UCP2 protein remained elevated early post-nataly (P10) as well as in adulthood. How does Upc2 affect the development of neuronal connections? The authors don’t really know, but that didn’t stop pretending, based on extremely tenuous evidence. Let’s see. Genipin inhibits Upc2 and lots of other mitochondrial proteins. Genipin hinders neuronal delopment. Therefore, the authors conclude, without any basis, that Upc2 promotes neuronal development. Is there any difference between vaginally delivered mice and mice delivered by C-section on behavioral test results. The authors didn’t bother to check before they killed and dissected the mice in the study. Instead they looked at something entirely different. They compared mice that they bred to have no ability to synthesize Upc2 they “knocked out” Upc2) to mice who could synthesize Upc2. They found that knock out mice did not test as well as normal mice. Duh! Upc2 is known to be involved in very basic cell functions in ALL cells of the mice. The fact that the knock out mice were relatively poor performers is only to be expected when knocking out a major protein of any kind. Mice born by C-section have lower levels of Upc2 in hippocampal neurons than mice born by vaginal delivery. The authors NEVER showed that hippocampal Upc2 levels are correlated with anything, let alone with boosting brain function. The authors NEVER showed that Upc2 has any clinical impact on brain function, let alone boosting it. The authors NEVER showed that the C-section mice with lower Upc2 levels performed better on behavioral testing than vaginal delivery mice with higher Upc2 levels. For all we know, had the authors actually tested mice from the two cohorts, the C-section mice could have performed the same or better. The authors NEVER showed that Upc2 has any impact on human neuronal development. 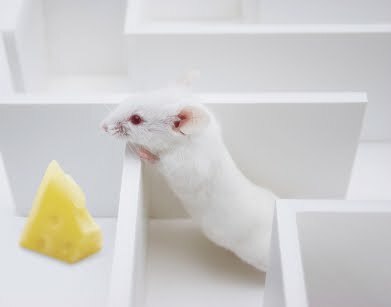 The authors NEVER showed that mice results can be extrapolated to humans. The authors should be ashamed of themselves. They did a little bit of basic research. That’s all they did. To pretend that they found anything clinically relevant to mice is reaching. To pretend that they found anything clinically relevant to humans is grossly irresponsible.